I don’t know about you, but with it being the holiday season, I have a series of potlucks on my calendar. I’m always looking for something quick and easy but also tasty to bring in. In case you hadn’t figured out from previous posts, I LOVE my slow cooker (see here, here, and here), so when my office was having a dip contest, I once again turned to my trusty slow cooker. This recipe only has a few ingredients, is super easy to make, and I don’t mean to brag (okay, maybe I do), but I won the dip contest, so I can assure you it’s quite tasty. Cut Velveeta and cream cheese into smallish cubes. Combine all ingredients in slow cooker. Cook on low for approximately one hour, stirring occasionally. Serve warm with tortilla chips. Note: You can also heat using the oven or microwave. For other cooking options, see original post here. If you’re like me, then a vital part of enjoying an event, whether it be a wedding, work event, or girls night out, is looking and feeling your best, and part of looking and feeling my best usually involves a new outfit. The problem is, if I buy something for a specific event, I don’t generally want to wear that same outfit for the next big event- I want something fresh and new. So intentionally or not, I’m buying things that I only wear once. On top of that comes the hassle of running from store to store trying to find something I love. I usually have an image in my head of how I want to look, and once I get shopping, can’t find anything that looks and feels quite right. Allow me to introduce you to an amazing fashion concept called Rent the Runway. 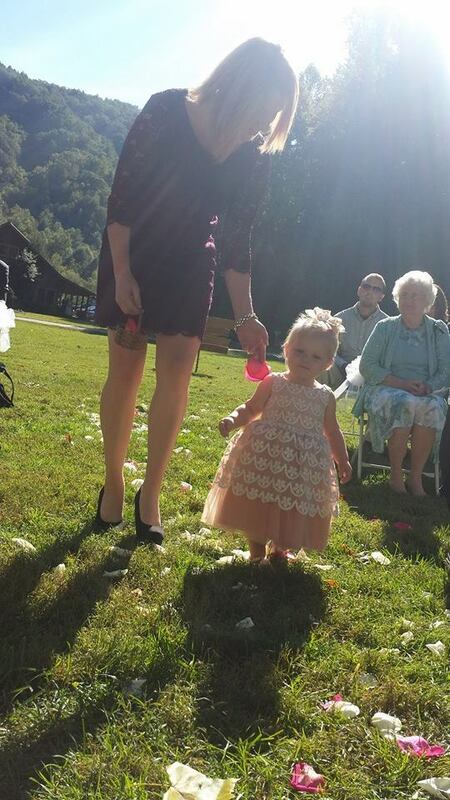 We were invited to an outdoor wedding this past weekend in the mountains (L was the flower girl!) This was part of my motivation for trying out a rental- I really only have summer dresses and needed something more fall weather appropriate. I heard about Rent the Runway quite a while ago, but put off trying them out because it seemed really impractical to spend money on a dress I was only renting, but when I really stopped and looked at the things I’ve bought and only worn once or twice, or wore because I was settling and couldn’t find anything better, I decided it was probably time to try it out. They have a good number of rentals that start in the $30-$50 range, and to me, that’s totally worth it for the chance to wear a good quality, designer dress. Additionally, I like that they have a TON of dresses in their inventory, and I was able to do all of my shopping online (in other words, I really enjoyed shopping from the comfort of my own bed while L slept and I ate chocolate eclairs, instead of the alternative where I’m sweaty from going store to store and chasing around a toddler and praying she doesn’t crawl under the dressing room door while I’m half naked from trying on dresses that I like on the hanger, but hate on me and getting progressively more frustrated). So, your next concern might be- if I have to try on a zillion dresses in the store and hate the way almost all of them fit me, how would relying on ONE dress I found online be any more reliable? One word. Reviews. Rent the Runway’s customers are really good about leaving helpful reviews, but the MOST helpful part of the reviews is that you can narrow down the reviewers to read reviews from women with your body type, and a lot of them will post a picture of them wearing the dress. That is FAR more helpful than looking at something on a hanger and deciding if it will look right on you. (Newsflash: I don’t know anyone with “hanger” for body type.) Also, they allow you to pick a 2nd size for free, just in case. After careful research, I finally decided on this dress, because the color, cut and style seemed appropriate for out outdoor fall wedding, and I thought it would fit me well based on the reviews. All I had to do was pick my delivery date (they recommend one day before your event), and I was good to go. My dress arrived at my doorstep the day before we left for the weekend, and I was SO THRILLED once I tried it on. It was exactly what I wanted. The fit was great, it was comfortable, it flattered me, and I knew the rental was so, so worth it. I got several compliments on the dress and even got the stamp of approval from JD, who liked it so much, he asked how much it would cost to keep the dress! Rent the Runway even makes the return super easy. You don’t have to clean the dress yourself, all you have to do is put it in the pre-labeled, pre-paid envelope, and drop it off at a UPS drop-off by noon on your return date. Honestly, I wish I had another event coming up so I had an excuse to rent another dress. I don’t really ever go to black tie events, but if I did… this one please. How much fun would this one be for a girls’ night? If you sign up using this link, you’ll get a $20 credit towards your first rental! Sadly, there isn’t a great picture of me in the dress. I should have demanded that someone take one, but I’m a mom, so most pictures of me generally involve me awkwardly holding/hiding behind a toddler. I guess what you really need to know is that I felt great, and that makes it worth every penny. It’s hard to have a daily routine when your schedule is constantly changing. It’s also hard to plan ahead or make plans with people. Night shift, day shift, work from home, travel, in service training, off duty work, babysitter vs. JD’s grandma vs. family friend for child care… it’s a LOT to keep track of. And L is only 1- she doesn’t have her own schedule of activities and get togethers yet. It’s going to get worse, people. To help maintain sanity, I created a Gmail calendar that JD and I can use jointly and syncs to our phones. It’s been life changing, to say the least. If someone asks if we’re available, I can quickly check the calendar. If JD signs up for off duty, he can add it to the calendar in case he forgets to tell me (which happens quite often). I set alerts for things I’m afraid I’ll forget, add an address that I can easily GPS when it’s time to leave, and create popup reminders for things I need to bring to certain events. For me, I have 3 calendars- personal, family, and Loralai’s daycare schedule; the family and daycare calendars are shared with JD. Call it hyper-organized or OCD, but it’s saved us a lot of hassle and confusion. I thought I’d share the basic instructions on how to do this. I’m assuming 2 things here- you and your significant other each have a Gmail account (or a joint Gmail account) and that you have smart phones. First, you have to create the calendar. Log in to your Gmail account, and in the top right corner of the page, you’ll see a grid with 9 boxes. Click on that grid to open menu options, then select Calendar. You will be taken to your default calendar. On the left side, there is a red button that will allow to create a new event, a month view below that, and below that a drop down called “My Calendars.” Select the arrow on the right “My Calendars,” and it will allow you to Create a New Calendar. On the next screen, you’ll need to name your calendar, select your time zone, and enter the email address(es) that you want to share with. Be sure to select the correct permissions for each person you share the calendar with. If you want them to be able to add and change events, you will need to select one of those options from the Permission Settings to the right of their email address. Now, click Create Calendar at the top of the screen! Anyone invited to the calendar will receive an email notifying them of the new calendar and the calendar will be automatically added to their Gmail account. Everyone invited to the calendar will be able to access it under My Calendars on the left side of the screen. To create an event, select the red “Create” button and fill out all of the information. **Use the reminder settings to either send an email reminder and/or a pop-up that will appear on your phone, if you’d like (I am a reminder fiend). 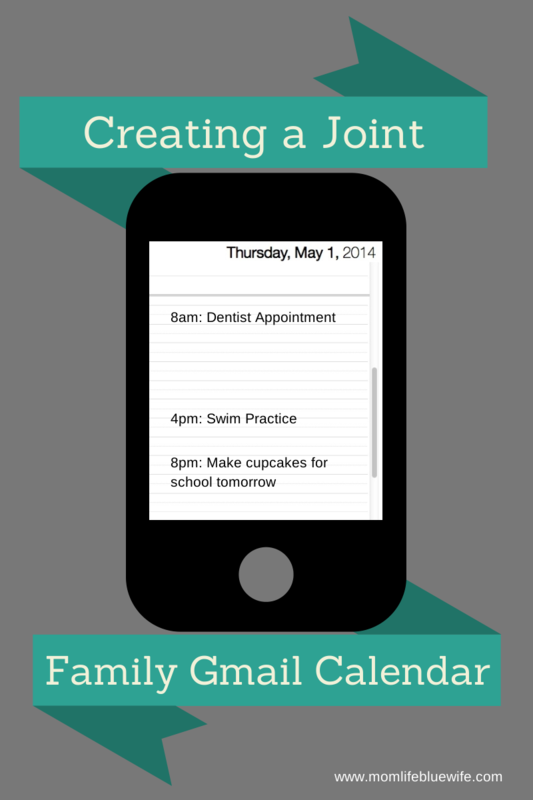 Note: Reminder settings will NOT populate to the other user(s) of your joint calendar. So if I set up a reminder, my husband will not get that same reminder. He could manually set his own, if he wanted (he doesn’t, but he could). Once you’re finished, be sure to hit the “Save” button! Once saved, the event will automatically populate on desktop and mobile devices (assuming the calendar is synced to the mobile device) for all calendar users. The instructions are different for each type of mobile device. I’m not going to detail out sync instructions for the different device types, but I’ve linked to some instructions below, for reference. Dare I say it? Spring is FINALLY here. With the weather on what I hope is its final upswing, I’m craving warm weather food, which to me means light meals with fresh ingredients. Since I haven’t posted a recipe in a while, it seemed like a great time to share one of the favorites in our house, Salmon with Mango-Avocado Salsa. This recipe is the definition of light and fresh, and the kick of the spices is countered with the sweetness in the salsa. Bonus: It’s super easy to make (assuming you don’t mind a little chopping). The original recipe calls for the salmon to be grilled, but since we didn’t have a decent grill until this year, we’ve gotten in the habit of baking the salmon (the spices and salsa are what make the recipe anyway). I’m sure we’ll get around to grilling it one of these days, but for now… here’s our version. Slice the salmon evenly into 4 to 6 smaller fillets. Combine the butter and all of the spices in a bowl. Rub all over both sides of the salmon. 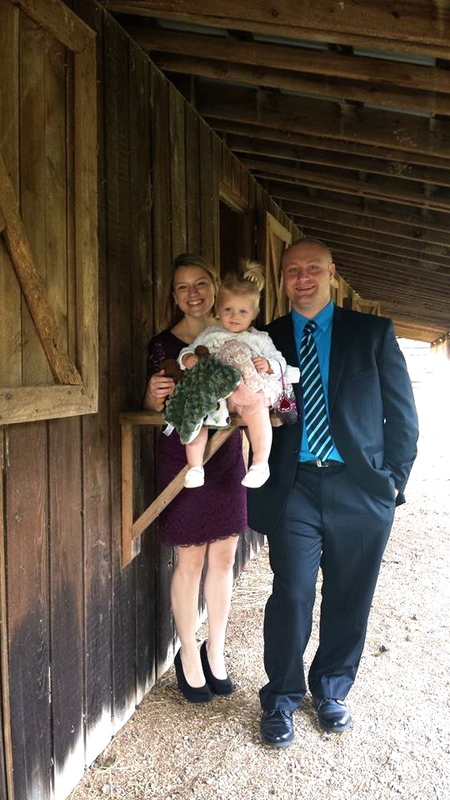 As mentioned in Tuesday’s post, Loralai’s recent battle with teething has been hard… on everyone in the family. 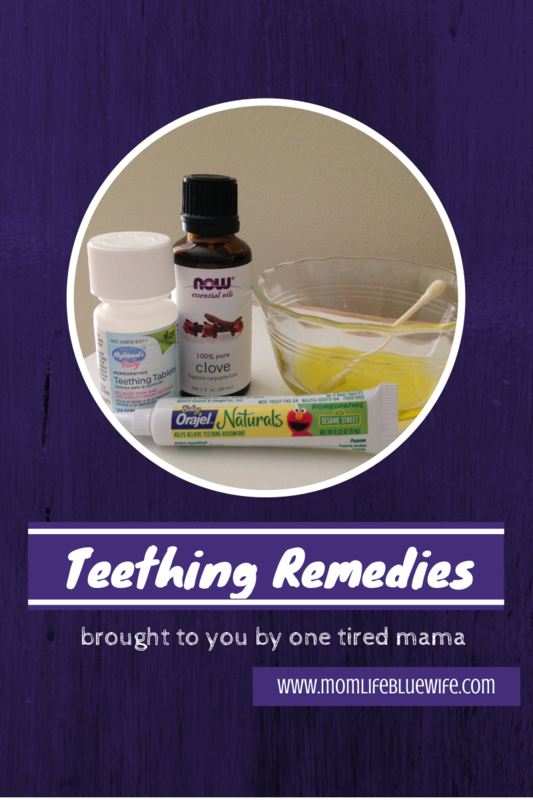 There’s a lot of suggestions out there for teething remedies, and at this point, we’ve tried nearly all of them. Of course, things that work great for one kiddo may not for another, but here is a wide variety of options, all in one place. Good luck! 1. Hylands Teething Tablets: Probably one of the most useful things we’ve tried. She loves them, they seem to help, they dissolve quickly on her tongue, and they’re homeopathic (hippie-tastic)! These things are gold in tablet form. 2. Baby Orajel Naturals: I originally stayed away from Baby Orajel after I read about the risks of giving products that contain Benzocaine to babies. However, I later found out that the Naturals version does NOT have Benzocaine in it, and it seems to help. 3. Amber teething necklace: Part-time and full-fledged hippie moms alike swear by these. These are NOT for chewing- there are oils in the amber that are absorbed by the skin and offer natural pain relief. Plus, I get a lot of compliments on her “cute” necklace (of course, once I excitedly explain about the magic hippie beads, people seem sorry they brought it up). To some, this may too new-age (and a little far-fetched), but I swear the worst days she’s had have been when she didn’t have the necklace on. There are a ton of options on Etsy; I ordered ours from this shop. Some parents worry about the necklaces being a choking hazard- this is where you just have to do what feels right for you. Ours is very well-made and I’ve never worried about it falling apart or L being in any danger. 4. Baby Ibuprofen/Tylenol: These days, it seems that people are one extreme or the other when it comes to medication. I’m only part-hippie. While I don’t want to overmedicate, I do think that medicine is going to help more than hurt if she’s absolutely inconsolable. I can’t blame her either- sometimes you just need the good stuff. 5. Castor oil: Mix a drop of this with a tablespoon of carrier oil (such as olive or almond oil) and rub on your baby’s gums. I swear it works better and more quickly than the Orajel. The one thing you have to be careful is that you dilute it, and when you dilute it, you have to use a carrier oil and not water. Test on yourself first to make sure it’s not too strong and will irritate your little one’s mouth! 6. Frozen teethers: Not such a hit with her. I think she doesn’t like that when she holds them, her hands get cold too. I can’t really blame her for that. 7. Frozen peas/crushed ice: The frozen peas were recommended by my mother-in-law. Because they’re frozen, they feel good on her gums (without making her hands cold like the frozen teethers), and once she gnaws on them a bit, they get mushy enough for her to swallow (though if you’re nervous about choking, a friend recommended crushed ice, which would melt). The success rate for this has been about 50/50. Sometimes it seems to give her relief, sometimes it only serves as a distraction. 8. Distraction: as mentioned in Tuesday’s post, good, old-fashioned distraction works wonders. As long as she’s busy playing and having a good time, she doesn’t stop to think about her teeth, but watch out when you put her in the car seat to leave or get up off the floor to do something else. Game. Over. Sophie the Giraffe: This is a must have for a lot of moms, but I hesitated from buying one of these when I read a review where a mom reported that her baby rolled onto it and one of the legs jammed down his throat (he was fine, but I knew I wouldn’t be able to stop worrying about it if she had one). I later found this version, which eliminates the worry with the legs, and I kind of wish we had one because I think L would probably love it. Vibrating Teether: The vibration offers a gum massage, although every time I think of getting one, I get a vision of L with a confused, panicked look on her face. If I come across one, I may try it sometime, but I haven’t gone out of my way to get one. 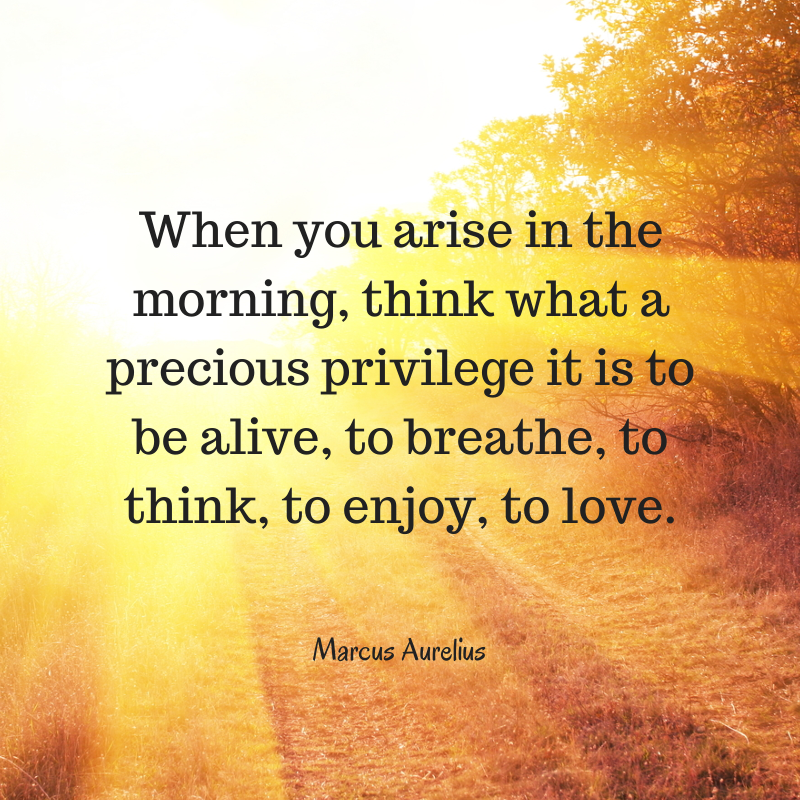 One time a couple of years ago, a stranger in front of me at the Starbucks drive-thru paid for my coffee. Not only did it make my day, but it moved something in me. What a simple, kind act that cost the stranger no time and only a few bucks, but filled my heart with joy. I have taken that lesson with me, and when the mood strikes, I’ll pay for the coffee for the person behind me. My hope is that they’ll be inspired to pay it forward too, and that each of us can find our own way to spread love and joy into the world. Let someone cut in front of you at the grocery check out? Compliment someone you don’t know who’s wearing a cool piece of jewelry or has a nice haircut? Wait longer than you normally would to hold the door for someone behind you? Leave an anonymous note on a co-worker’s desk, letting them know something you admire about them? Give an extra generous tip to someone who went above and beyond in the service industry? Move that stray shopping cart into the cart corral? … and those are very basic ideas. 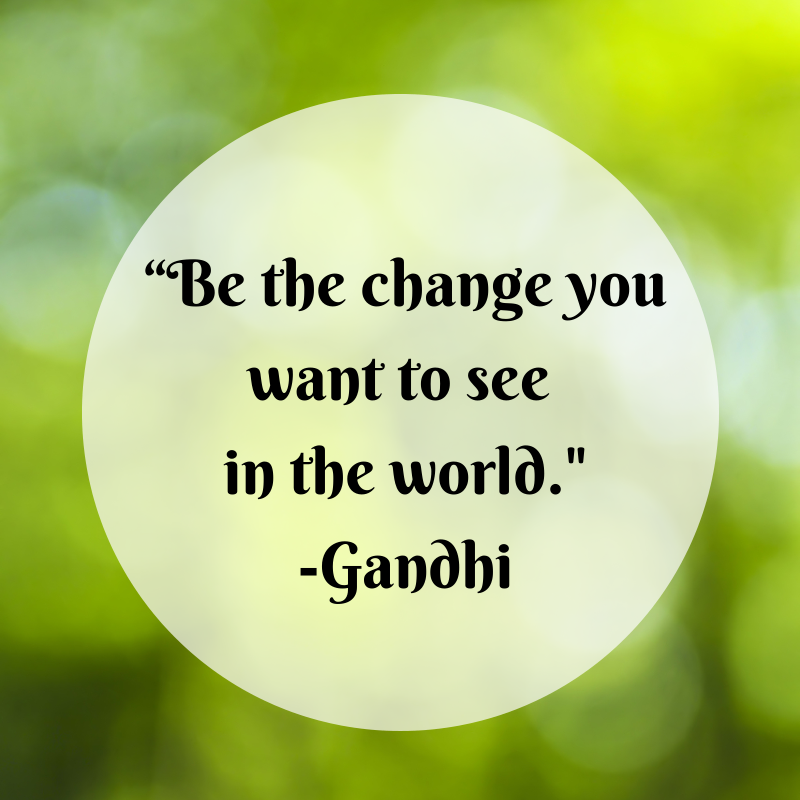 For more inspiration, visit The Random Acts of Kindness Foundation. Cool stuff! 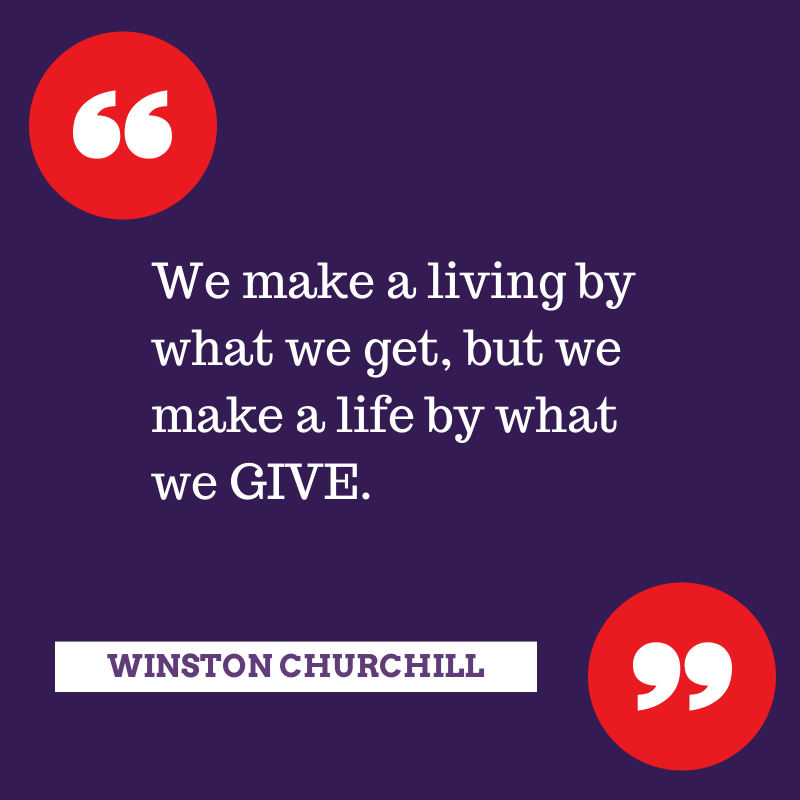 Do you have an idea or do you have experience with giving or receiving random acts of kindness? I would LOVE if you would comment with an idea/inspiration! If I get enough ideas, I’ll make another post about it (fellow bloggers, this means I would link to your blog, hint-hint). A friend of mine introduced me to this cookie recipe back when we were in college. It’s been a holiday favorite ever since. Careful- they’re addicting! In a large saucepan over low heat (or in microwave) cook margarine, sugar and water until margarine is melted. Add chocolate chips and stir till completely melted. Pour into large mixing bowl and let stand 10 minutes. Then, at high speed on the mixer, beat in eggs one at a time. Reduce to low speed and add dry ingredients beating until blended. Chill dough at least 1 hour. Preheat over to 350 degrees. Line cookie sheet with foil (this is important), roll dough into balls (about 1 tsp in size). Place 2 inches apart. Bake 12-13 minutes- NO LONGER. They will crisp as they cool. Remove from oven and immediately place a mint on each cookie. Swirl mint with spoon when slightly melted.